Sublease is a lease from one lessee to another as per the rules and regulations set by the concerned authority. 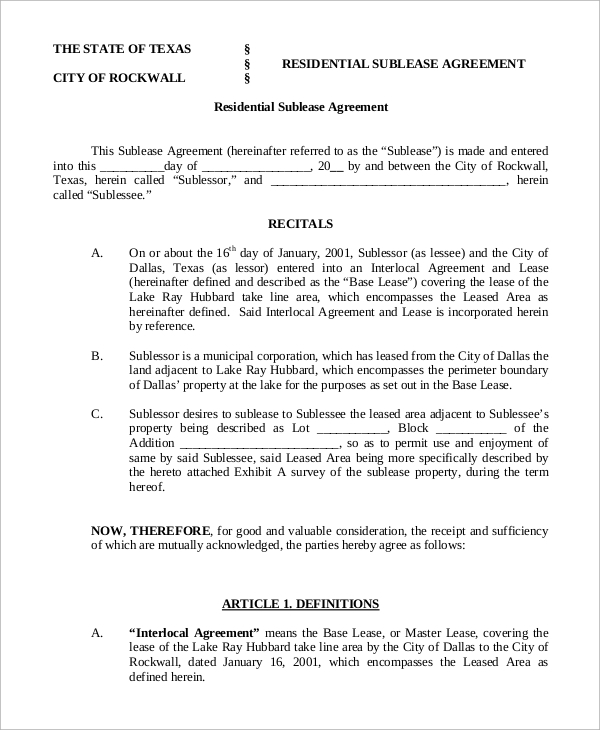 Sublease Agreement is a significant agreement between two or more parties who sign on a purposeful agreement with their active participation. They are advised to personally go through the Free Sample Agreements to get a clear understanding of the purpose regarding how things are drafted and signs obtained from the parties involved in it. Subletting in a favorable manner your office space or commercial property should be done through the Commercial Sublease Agreement. It is one of the significant Sublease Agreement that exclusively deals with commercial aspects. Model Sublease Agreement is drafted with all the necessary instructions and guidelines as per the rules and regulation of the Sublease Agreement. It is a sublease agreement that is signed by both the parties as accepted and then financial transactions are later carried out. 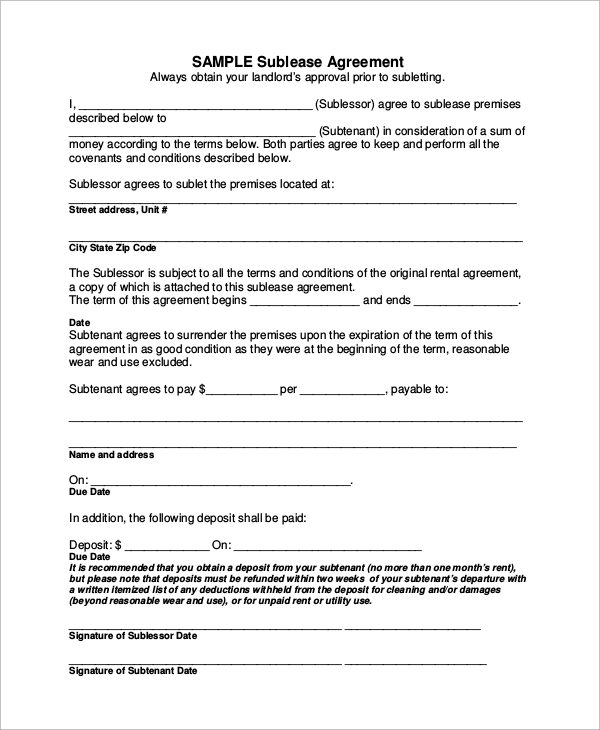 Apartment Sublease Agreement is drafted and signed by the developers or builders and occupants of the apartment. The drafting of this sublease agreement deals with the cost of an apartment, local and government taxes and other duties applicable from time to time. Why one Should Opt for a Sublease Agreement? 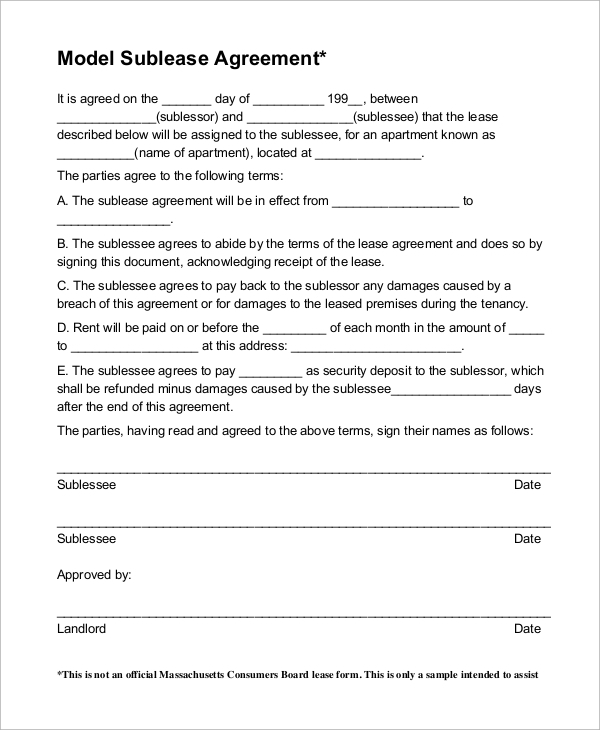 Under a condition, when the tenant of a piece of the property wants to give his or her rights as per the lease to another party, the circumstances warrants for a sublease. 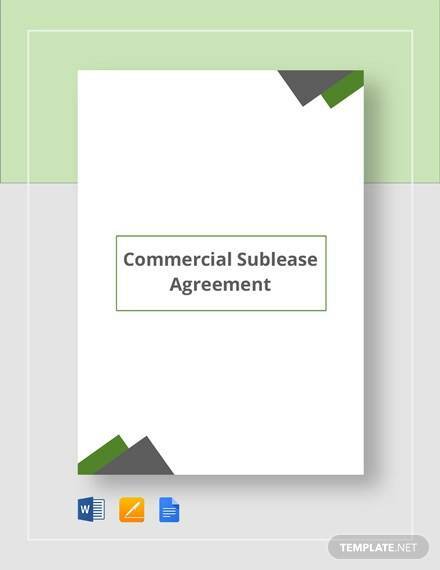 It is to be noted that subleases can directly apply to both commercial and Residential Lease property. Mainly depending on what the original lease of the piece of property states, the landlord or owner of the property may require or need to give wholehearted permission to the tenant to sublet the premises. Office Sublease Agreement deals perfectly with subletting your office space for others for a period and a fixed rent charges or lease amount which is paid in advance, on a yearly or monthly basis in the open market as sublease agreement. 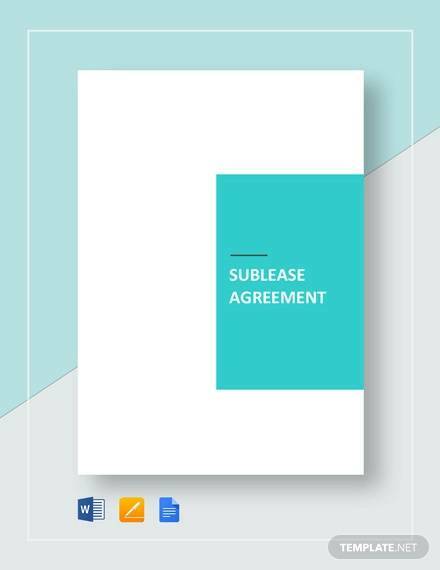 Sublease Agreement Form comes with drafting space for all kinds of details and information which will be accepted, agreed and signed by two or more parties involved in the particular deals. 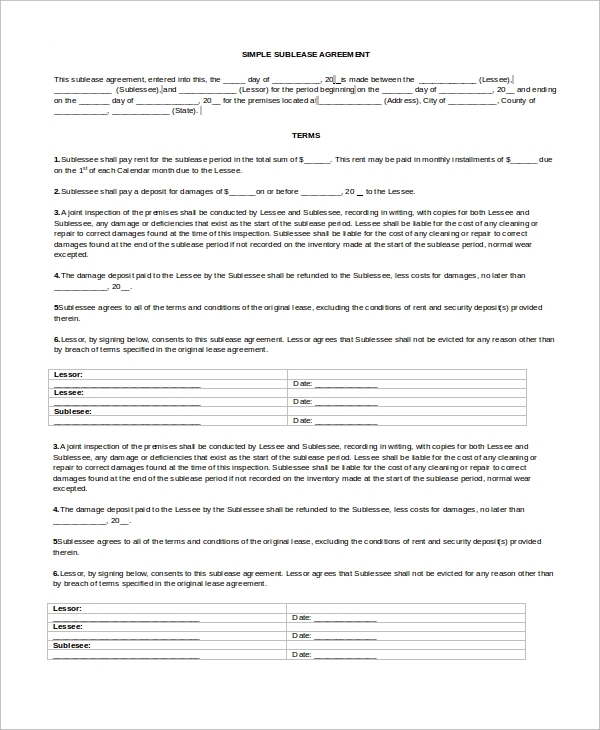 The form related to sublease agreement comes in fixed format and template. 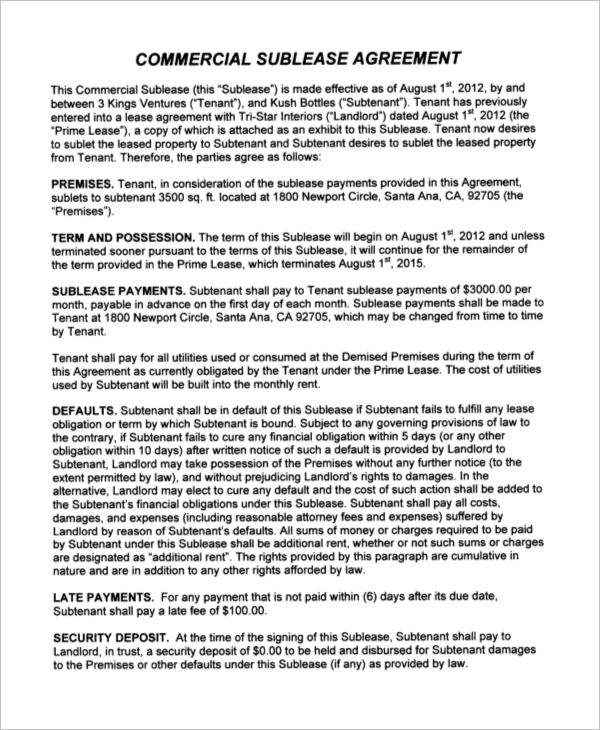 What is the Actual Purpose of a Sublease Agreement? 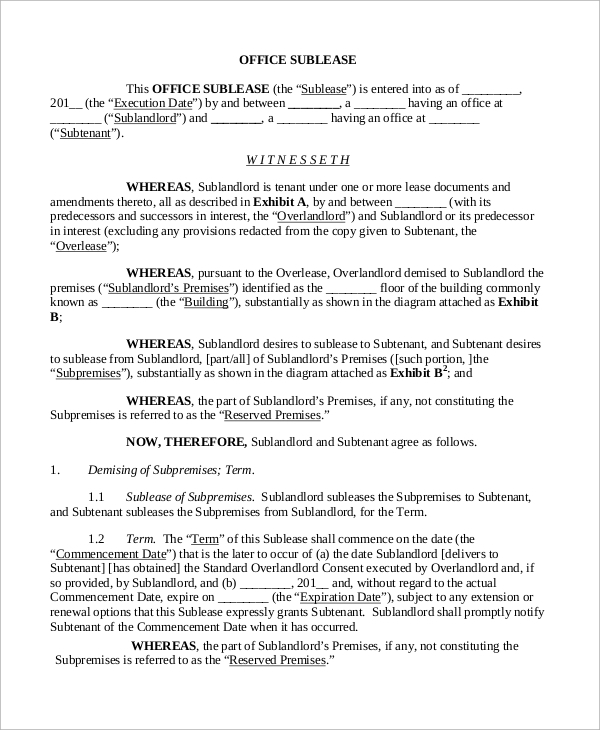 It is to be remembered that a sublease agreement helps to protect both the sub-tenant and the current tenant. It is significant to have a proper contract in place that rightly describes each and every party’s rights, duties and responsibilities. Under any situations, circumstances, and condition, tenants of commercial nature should indulge in conversation with an attorney to draft according to the needs and requirements a sub Lease Agreement Samples primarily due to the high value of the property in the open market. 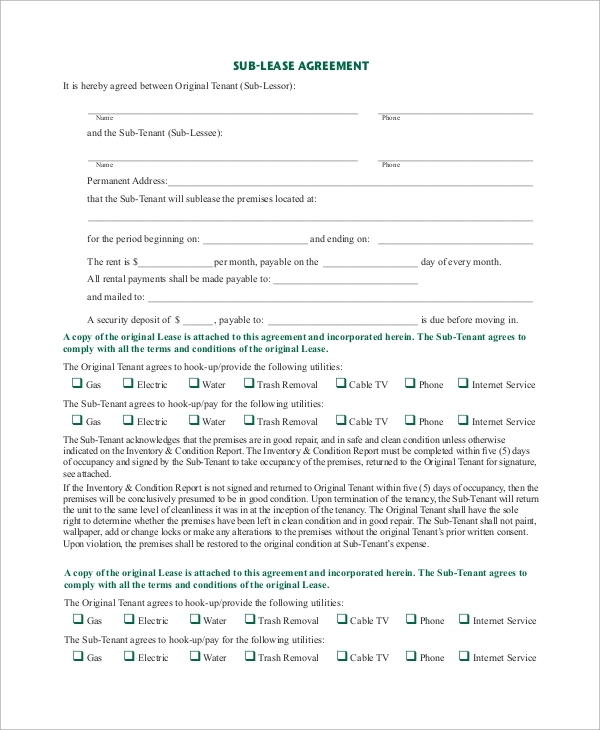 It is to be remembered that tenant of residential nature can draft a sublease to agree to and sign for all parties involved in an advantageous manner. Sublease agreement plays a significant role in the commercial nature agreements. The Standard Consulting Agreement should be drafted and signed by concerned parties as per the deal accepted and agreed in the open market. Both parties must take care of each and every point mentioned in the drafts. 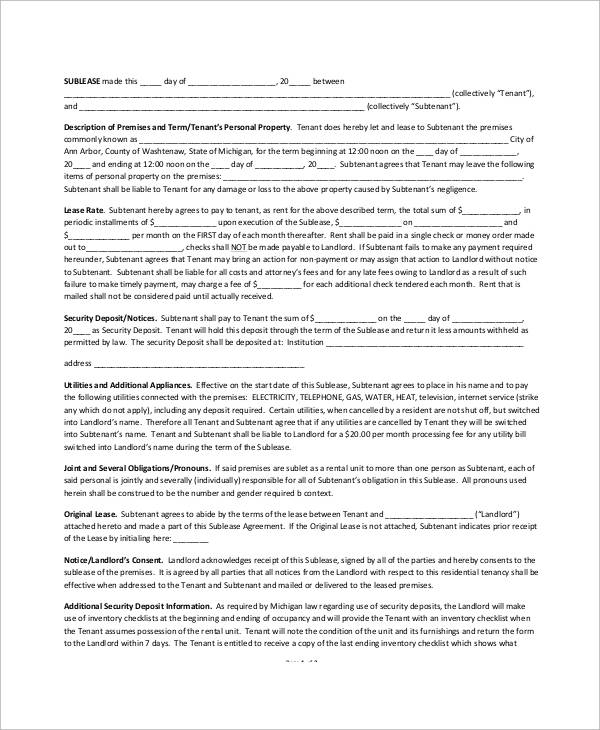 All sublease agreements should be carefully read before signing it.